Vinyl has been around for a very long time, but not everyone understands what it is. They think of things such as vinyl records, or cheap plastic, so when it comes to vinyl windows, they aren’t sure what to think. Vinyl is an incredibly tough form of plastic that’s easy and cheap to make, as compared to fiberglass and wood windows. For windows especially, it’s a substance that solves a lot of our problems. When people normally think about tough, they think about something such as metal. In the case of windows, metal is harder to work with, more expensive, and even worse it’s a conductor for things such as heat. That’s one big reason why vinyl windows were ingeniously invented. It provides a robust substance while taking away all of the cons that most tough materials usually provide. The substance known as vinyl is made mostly out of PVC as well as various other plastic elements. As a set of windows, it’ll hold up against just about anything. As an energy saver, vinyl windows are an excellent insulator. That means the vinyl windows don’t absorb nearly as much as either the heat or cold that our yearly climate in Colorado tends to bring us. For anyone in Greeley that pays a high electricity bill because of how hard their heater has to work during the winter time, they’ll tell you that the more insulation you can get into your property the better. Not only is the vinyl in vinyl windows an insulator, but they’re also hollow. What this does is allow the opportunity for the installers at our window company to potentially fill it with insulating foam. Similar to the stuff you’d put in between your walls, the insulating foam will work absolute wonders for your windows. One of the winning factors that make vinyl windows automatically a much better option over wood windows, and fiberglass windows, is the fact that vinyl windows are immensely cheap in comparison. This is thanks to the fact that manufacturing vinyl windows is easy, and the PVC that’s used to make it is cheap; they’re an affordable option for everyone! Vinyl windows are in abundance, so the turnaround time for anything we don’t immediately have in stock at our window company is very short! It’s true that fiberglass windows are tougher, but when you see the sales tag for fiberglass windows get up to fifty percent more expensive than vinyl windows it’ll cause you to rethink. House renovations aren’t cheap, and if you have nearly a dozen windows to replace, then the difference in savings could be enough to buy a cheap used car online. It’s all entirely dependent on the situation you’re in, but if you can get new windows that are still tough for a cheaper price, then it’s something to consider! 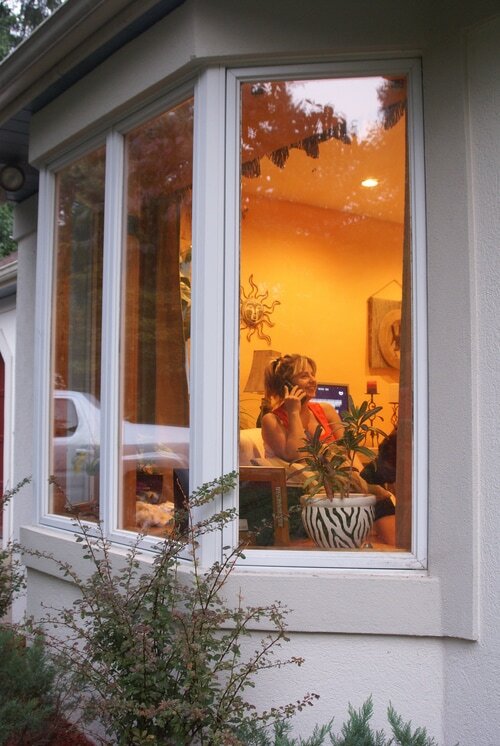 At Greeley Window Company, we put in replacement windows for a rate that won’t put a huge dent into your savings. To find out exactly what your new windows will cost, give us a call today at Greeley Window Company - 970-373-1665 - for a quick estimate.